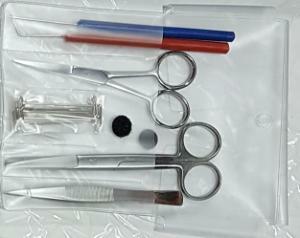 Great tools for a safer dissection. Practice dissection with a lower chance of dangerous cuts! Ideal for beginners in dissection, where exposed scalpel blades may be a hazard. 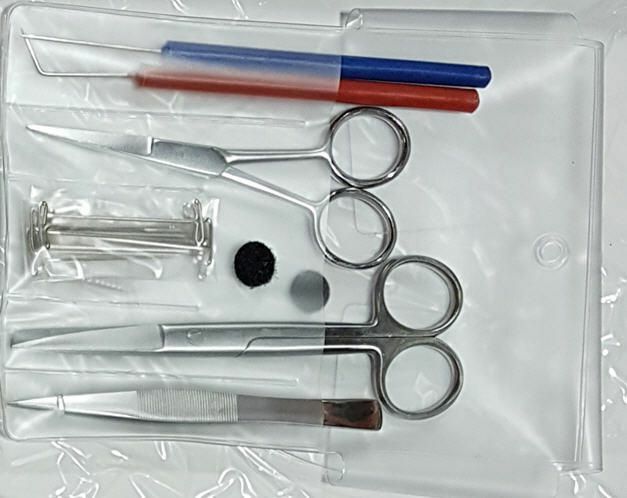 This scalpel-free dissection kit has the tools needed to perform most dissections in a classroom. Suitable for most gross dissection and introductory organisms like squid, worms, grasshoppers, and clams. Each of the instruments is the same as you will find in our other high-quality kits and will provide years of service.